I picked this bottle up at the Napa tasting room, where I joined the club and indulged in tasting just about everything they had. I really enjoy the wines from this winery, they suit my style, budget and usually have enough unique character to set them apart from the thousands of others in the valley. This one was $36 for club members, $45 for the rest. It opens up in the glass and shows off a bright purple color. On the nose- nice plum and blue fruit compote. A nice intro of plum, currant, black cherry and gripping tannins. Acidity is very present and balances the young tannins somewhat. The blend of this wine is 51% Cabernet Sauvignon, 28% Merlot, 11% Petit Verdot, 9 % Cabernet Franc and the 1 % left is Malbec. This Bordeaux blend appeals to me greatly and the wine drinks well, albeit young. The mid palate just hit me with some powerful plum essence with a silky touch of flowers, probably the Franc I suspect. The finish is average in length and the tannins simply disappear. I’m thinking this is a shorter term wine with a drinking window of 2016-2020. 91 points from me and 4 stars. Salut…. 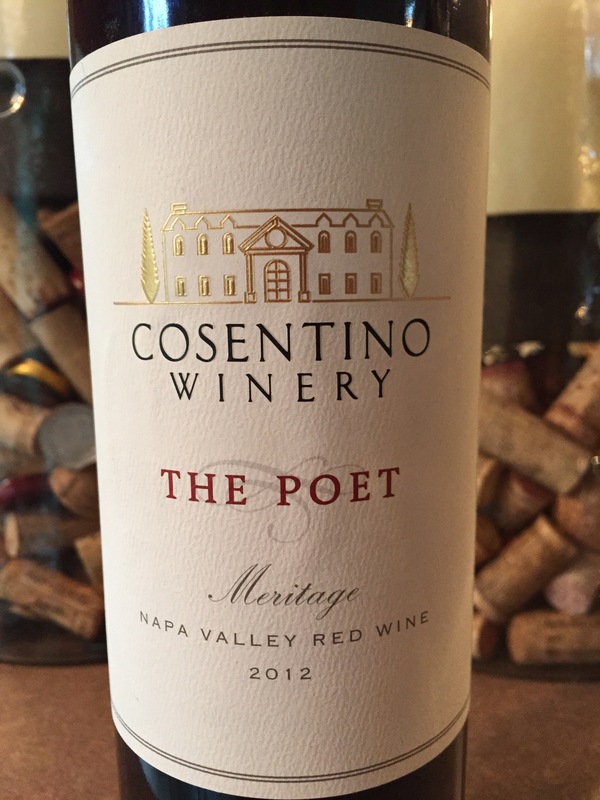 You should try to get your hands on some Poets from when Mitch was actually making them–this was my gateway winery, but it has dropped off since Mitch had to leave…. I’ll look for some. I really enjoyed his Blockheadia wines as well.